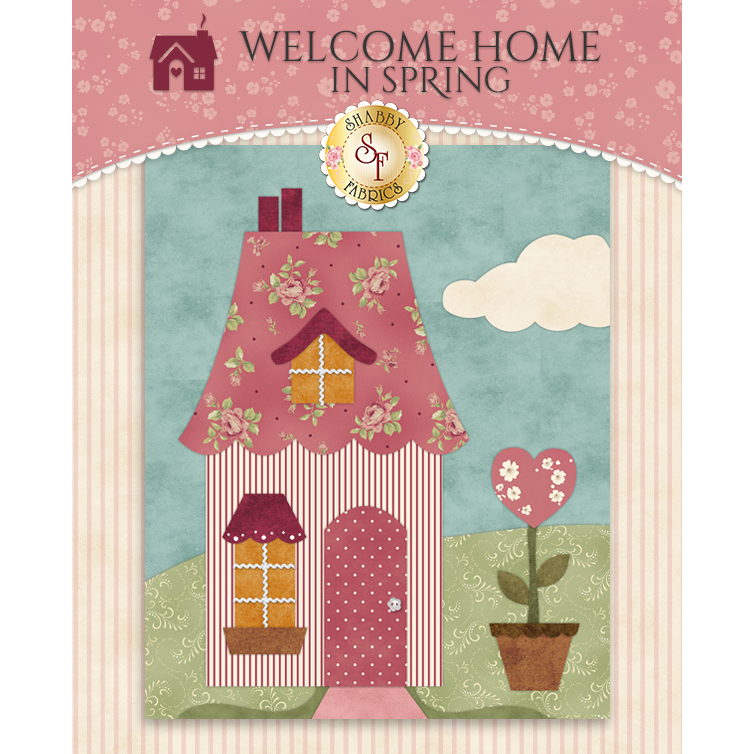 There's nothing like home sweet home! 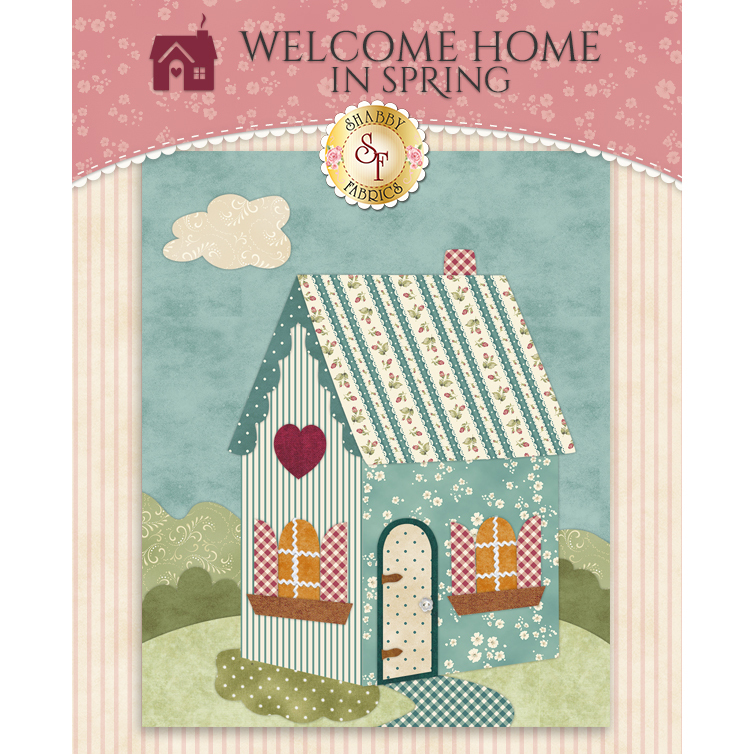 Welcome Home in Spring is a delightful Shabby Fabrics original design that is sure to become a cherished family heirloom. 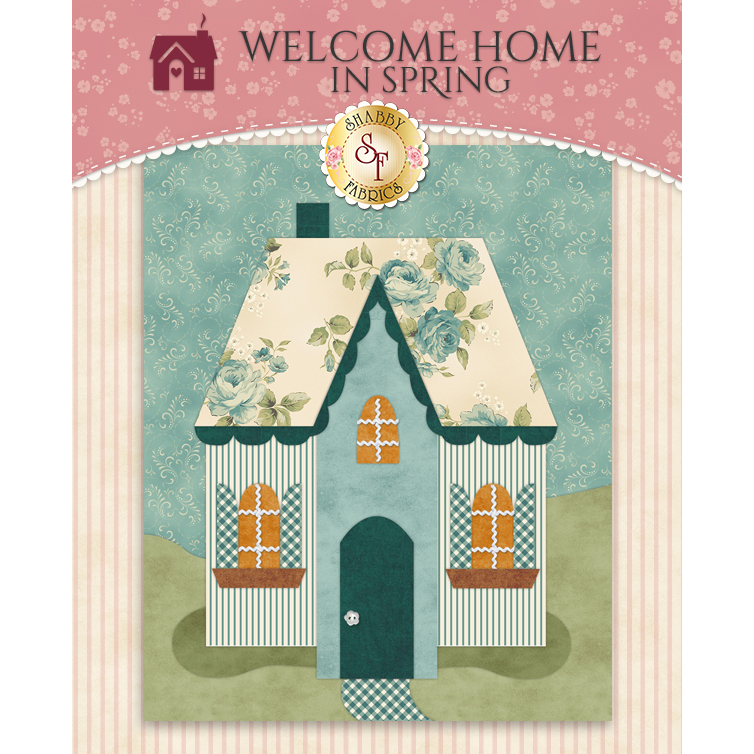 This charming 56½" x 64½" quilt features Shabby Fabrics' debut fabric collection, Welcome Home Collection One! 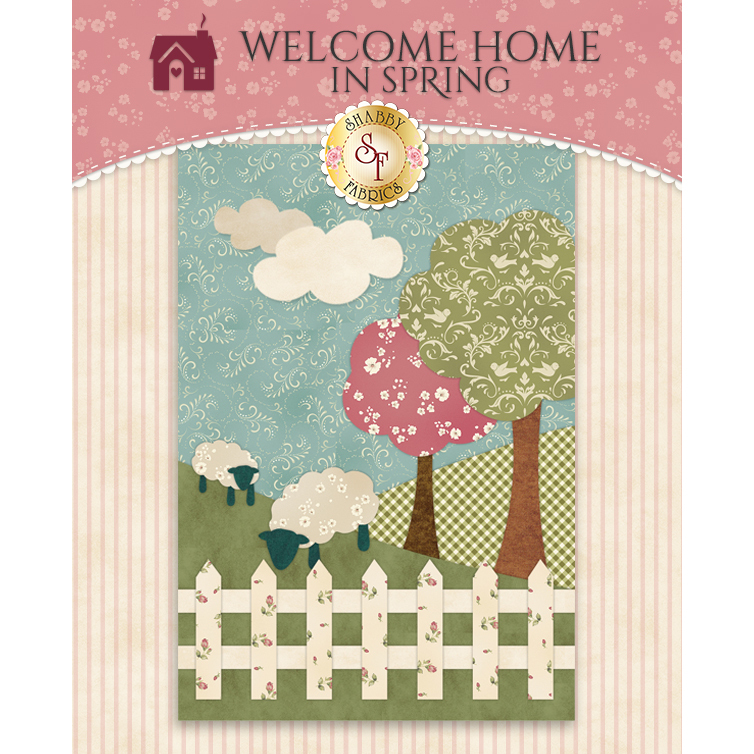 This applique'd quilt features quaint homes, rolling hills, grazing sheep and so much more! 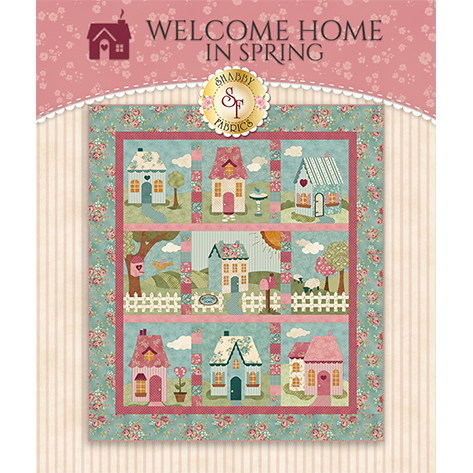 Simple but beautiful embroidery and embellishments add an extra special touch to this endearing quilt. 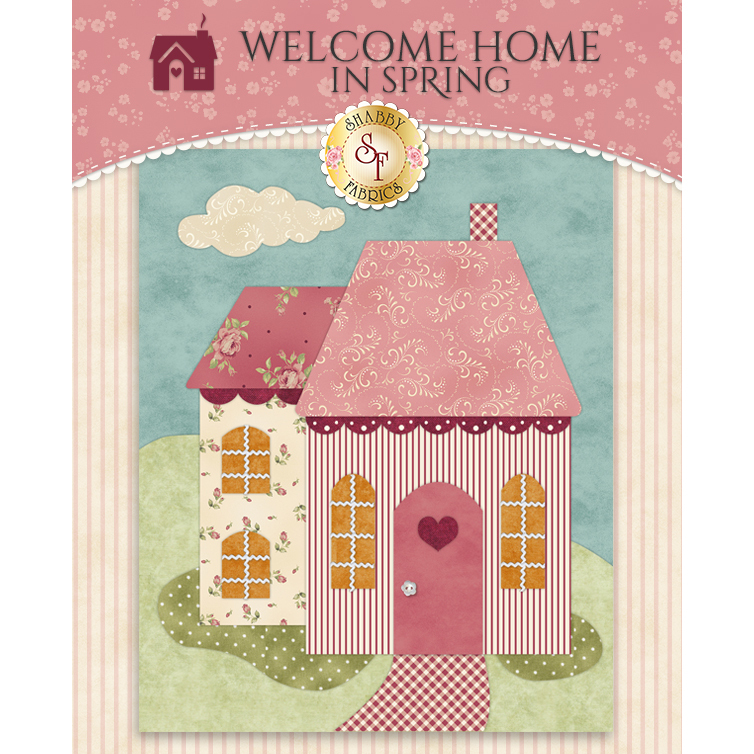 Make this quilt your own by adding your family name or address on the pink mailbox in the middle block! 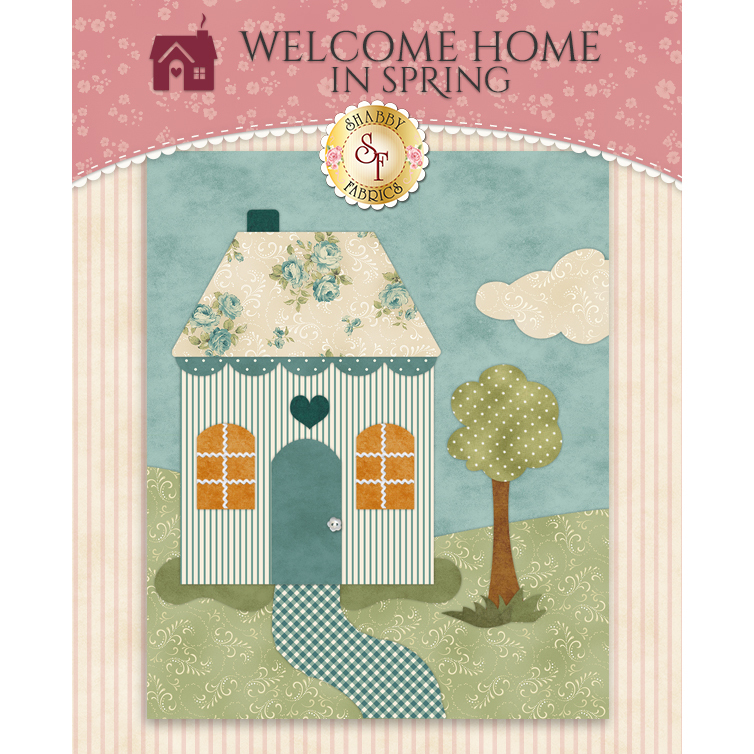 Pattern will include the instructions and high-quality diagrams to complete the quilt. 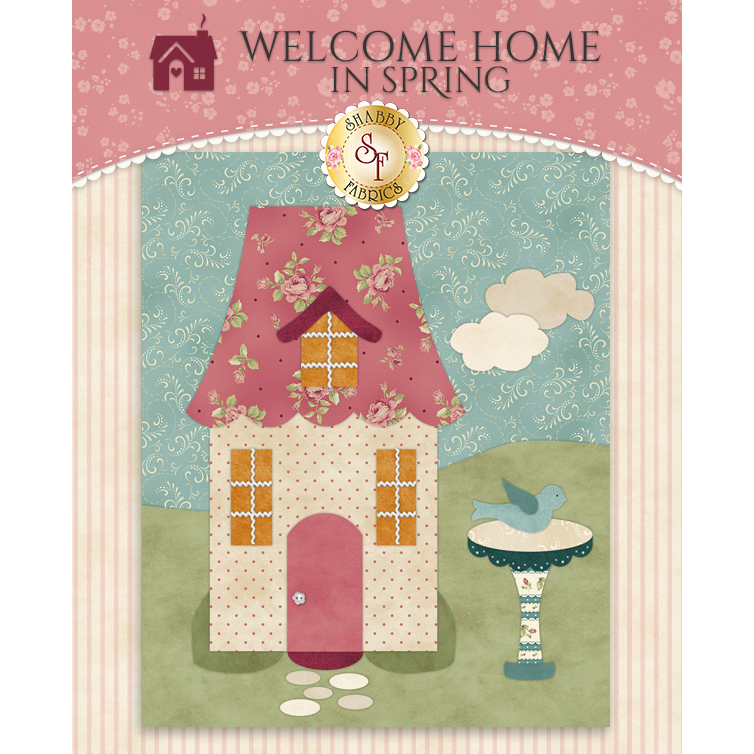 Unsure of your applique skills? 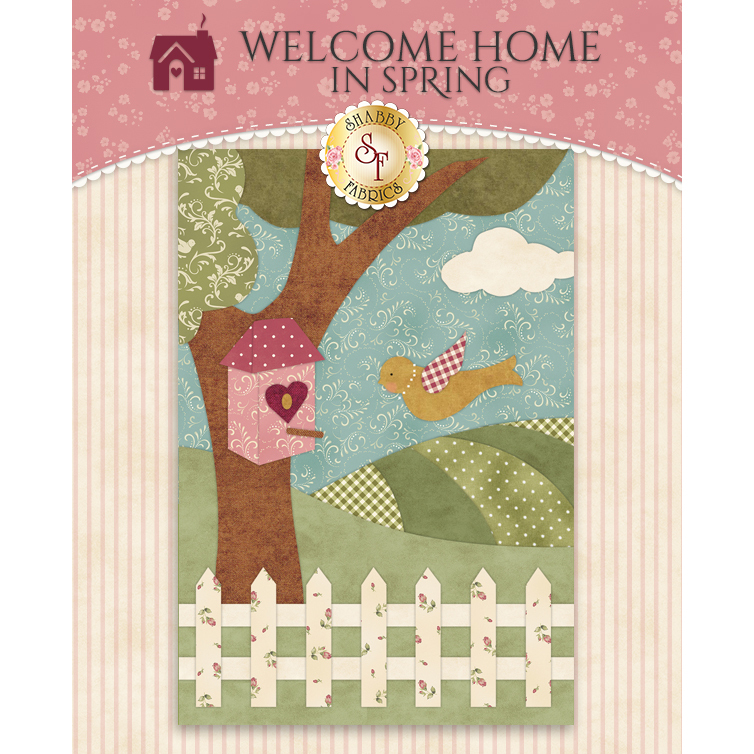 Purchase our 9-piece Applique Kit and Sealing Iron, available below.